Have you all seen those beautiful, gilded mid-century modern cocktail glasses in vintage shops or floating around Pinterest? They are just to die for! 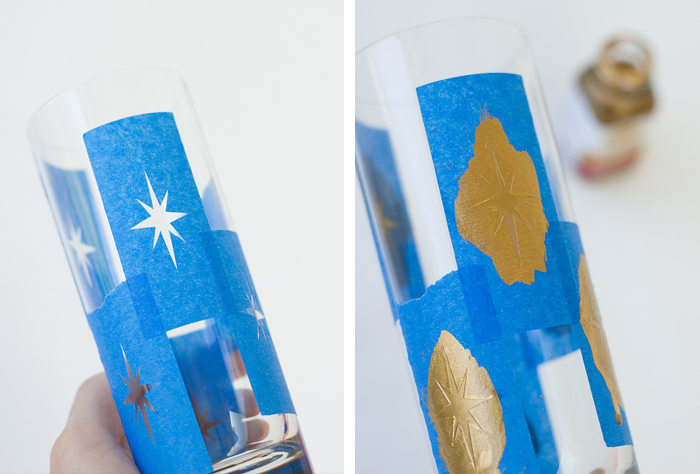 I decided to create my own DIY version, an ode to the mid-century starburst motif and to those stunning glasses I just can’t seem to get my hands on! These are so simple to make, all you really need is liquid gold leaf and a few other supplies! They’ll look perfect on that bar cart of yours… or give you the perfect excuse to buy that bar cart you’ve been wanting. **Note: Liquid gold leaf is not a food safe material; while it is fine to use it on the outside of a glass as we are here, please leave at least a few inches at the top of your glass untouched by the gold leaf for safety reasons! First, cut out a rectangle shape around the starburst pattern (printable pattern template here; just print out on cardstock). Then use your knife to carefully cut out the starburst shape from the rectangle, leaving you with a stencil. Rip off a piece of painter’s tape and tape it to your cutting mat. 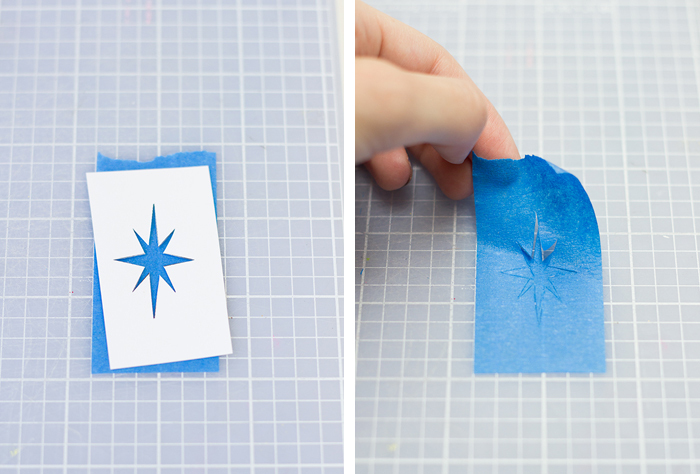 Place your stencil over top and carefully cut out the starburst shape from your tape. 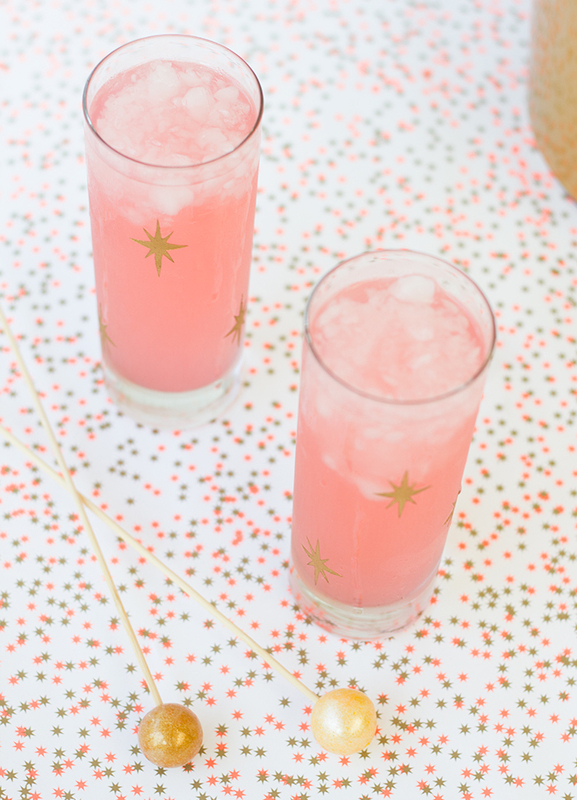 Peel your stencil off your mat and adhere it to your glass where desired, and then repeat the above steps until you have as many starbursts as desired on your glass. It is so so so important to run your fingernail over all the little cutouts of the starburst once it’s taped on the glass to ensure it is sealed on there well! This will prevent the gold leaf from leaking through the stencil. 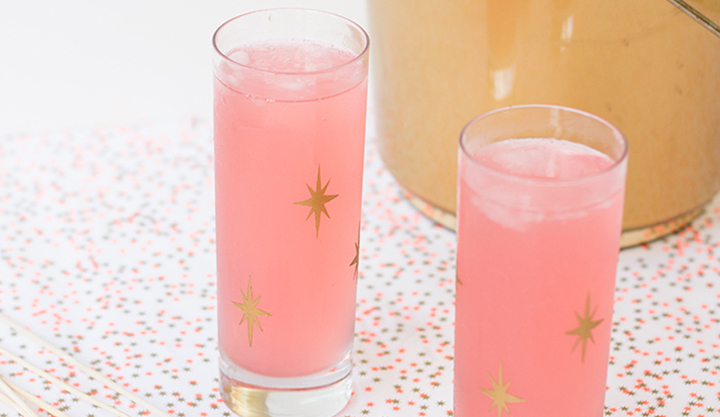 Remember, keep the starbursts a good distance from the rim of your glass. 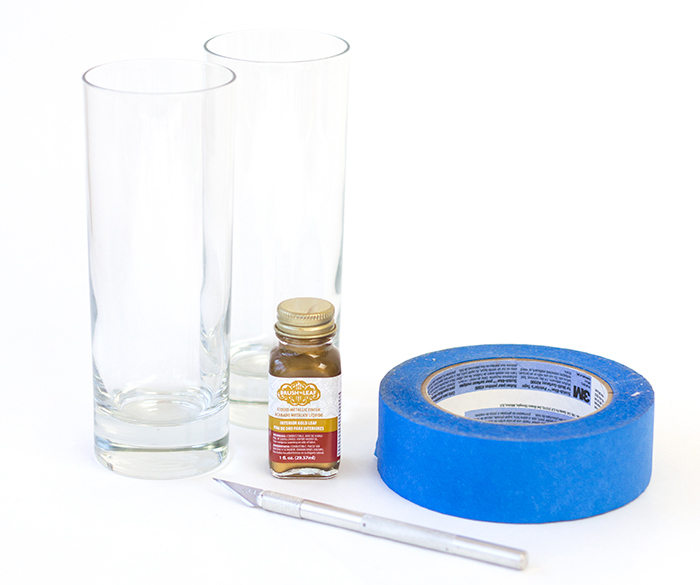 Next, open your liquid gold leaf and while working in a well-ventilated area, stir it well with your paint brush. Paint a thick but even coat over the starburst shape. If you find you need more than one coat, go ahead and add a second coat. Let dry thoroughly, then remove your stencils and you are done! If you do find that any starbursts didn’t turn out perfectly, you can use a toothpick or a cotton swab dipped in nail polish remover to remove any unwanted gold leaf. 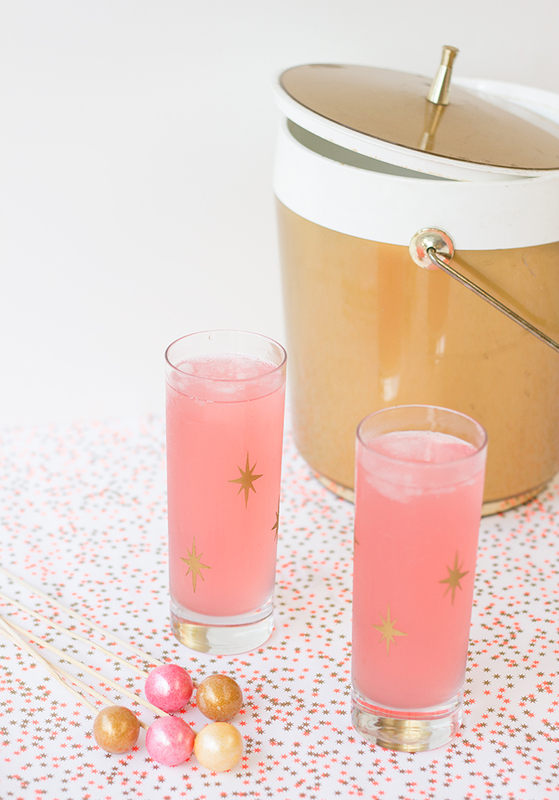 Now fill your glasses with your most favorite cocktail and you are ready to party, mid-century style! Note: These glasses should be hand washed, using care when washing the starburst shapes! 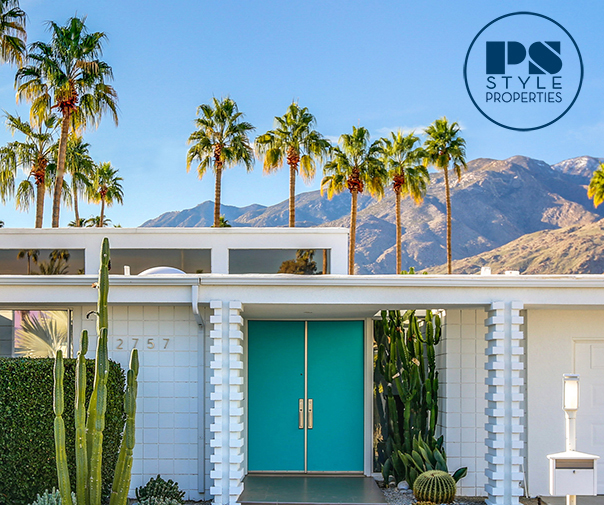 DIY projects on Palm Springs Style may not be copied, re-posted, redistributed or reproduced without written permission. If you’d like to share this project, please link directly to the post and do not include the instructions in your own post. Thank you!